You all have probably used Instance to Skip, but have you used Instances to Vary? 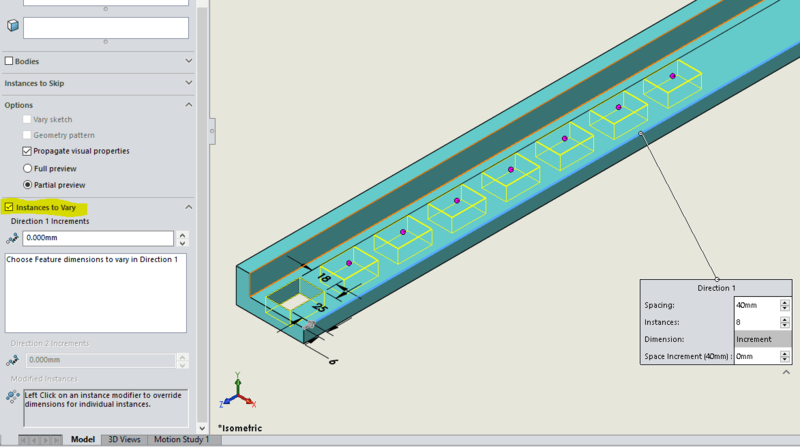 SOLIDWORKS has created this great tool to use when you want to create more complex patterns. 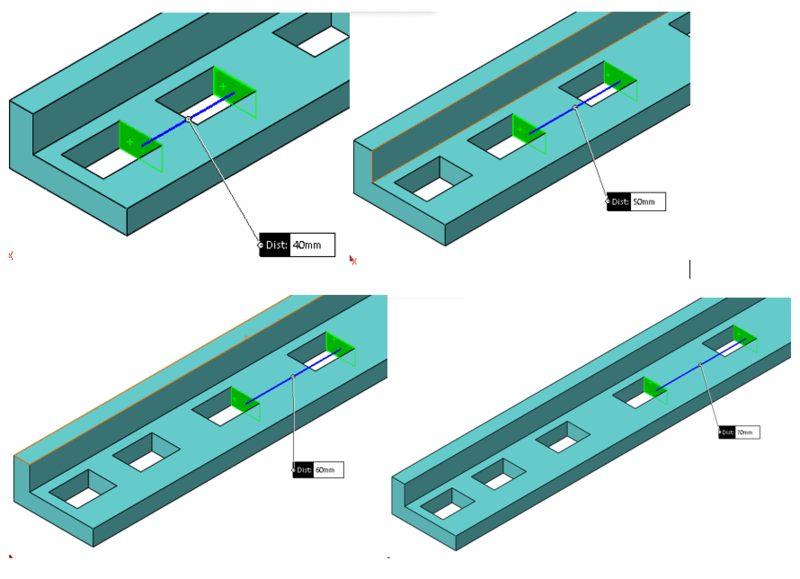 Let’s take a look at a simple linear pattern with the spacing of 40mm with 8 instances. A design change has taken place and an equally spaced linear pattern is no longer needed. Rather than creating multiple linear patterns or some other crazy way of getting different spacing between the features, just use Instances to Vary. The first thing I want to show you is the Direction 1 Spacing Increment. I will change this value to 10mm and it will add this value to the second instance equaling 50mm, the third instance will equal 60, the fourth will equal 70 and on and on. You get the gist. Take a look at the image below. 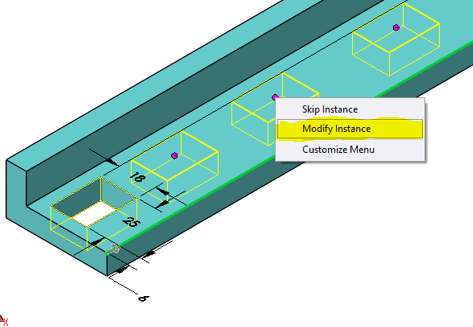 Now let’s take a look at how to modify the instances. All you have to do is click one of the magenta dots. You have the option to skip or modify the instance, click Modify Instance. Change one or multiple instances, I’ll change one to 100, and hit enter. Instance moves. If you want to modify that instance, click the blue dot (when you modify an instance the magenta dot turns blue) and select Edit Modify Instance. 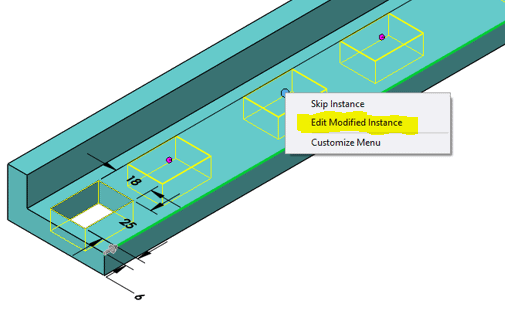 If you want to remove Instances, right click in the Modified Instance and select Delete or Clear Selection. 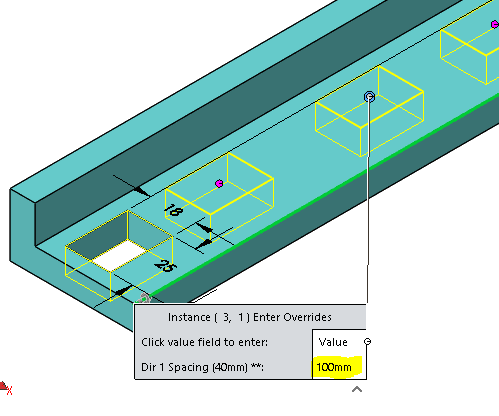 I almost forgot to tell you about Choose Feature dimensions to vary in Direction 1. Displays dimensions of the seed feature in a table. 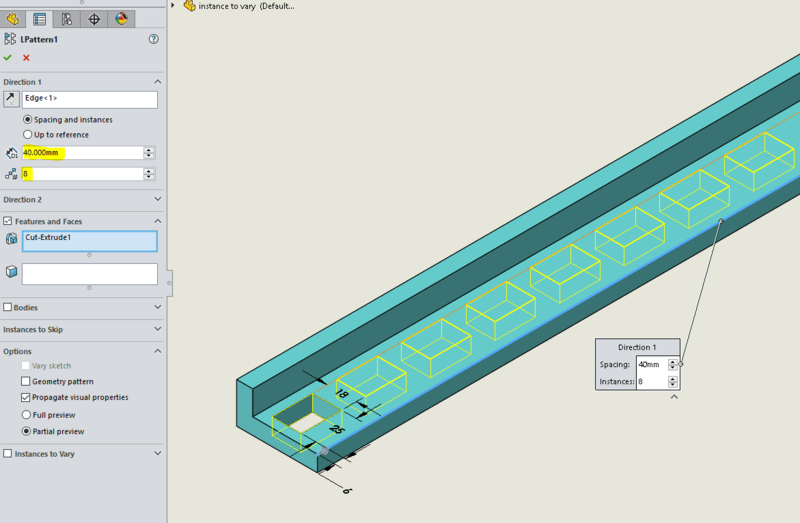 In the graphics area, click the dimensions of the seed feature (18mm) to display the table. 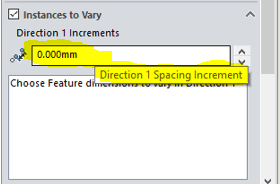 Add a value in the Increment column (5mm) to increase or decrease the size of the feature dimension for Direction 1. 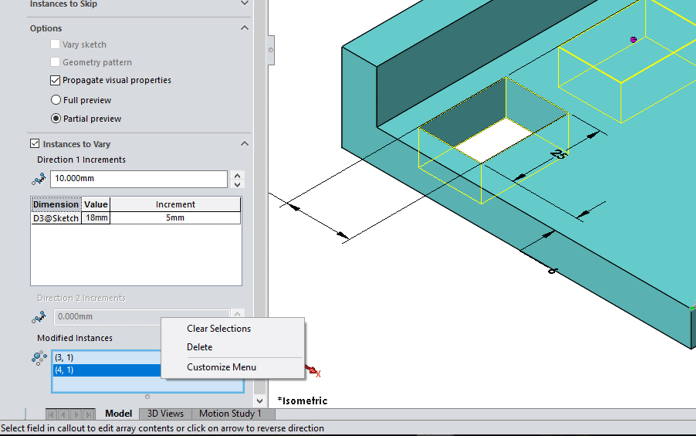 Notice how the feature dimension increases for each instance (review in Full Preview). This is just another great tool to make design changes that much easier. 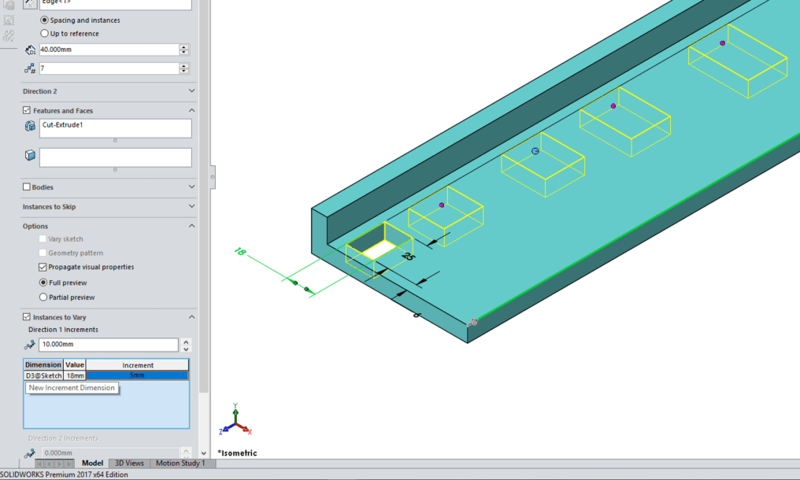 SOLIDWORKS: Where did my Custom Properties List go?